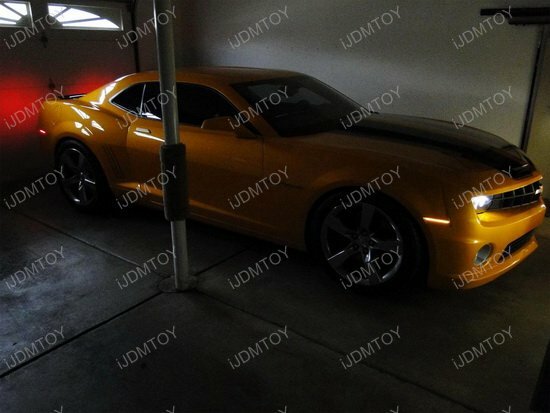 A: Yes, these lights are completely street legal since they shine amber yellow and brilliant red. 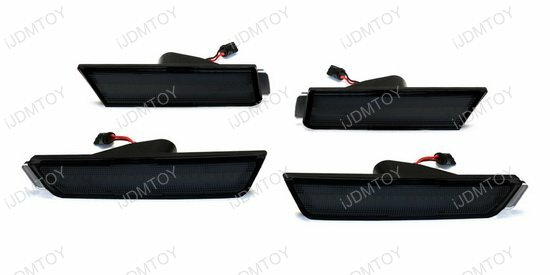 Q: Will I have to modify my vehicle to fit these? 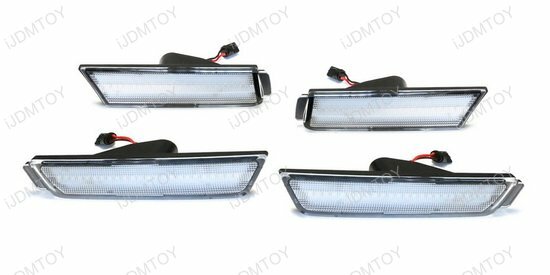 A: No, modifications will not have to be made to install these lights. Q: What does SMD stand for and what does it do for me? A: SMD LED stands for surface mount LED, which is a diode that is mounted onto and soldered onto a circuit board. It has a wide viewing angle which means it can shine more light over a bigger area. SMD LEDs are really small, give off less heat, and requires less voltage. 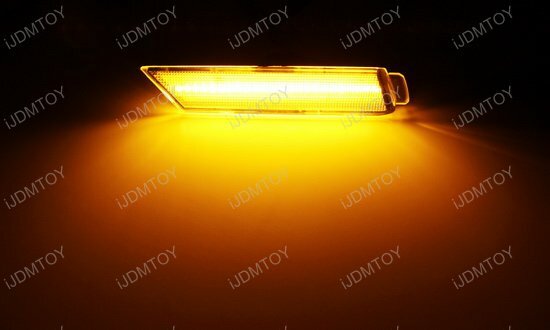 This means your LED side marker light shines brighter than your stock side marker lamps for longer. 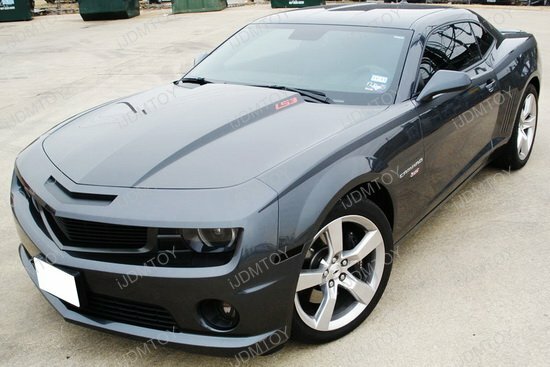 Q: How do I install these Chevy Camaro LED side marker lamps? Step 1: Turn the steering wheel to gain access to the wheel base. Pull back the wheel well liner and remove the clips/screws holding the wheel liner in place. Make sure to keep the clips and screws in a safe place. 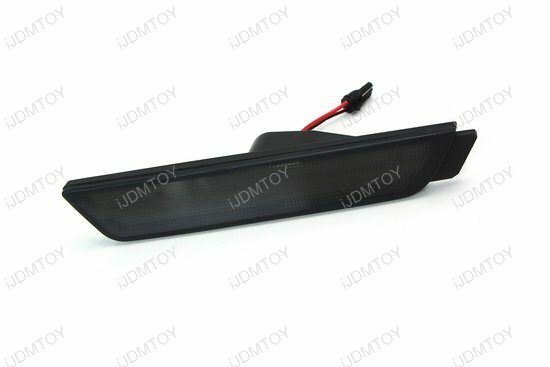 Pull back the wheel well liner so you can access the side marker light housing. Step 2: Use a flathead screwdriver to gently push in and release the plastic clip near the back edge of the housing. Then pull out the entire stock side marker housing to expose the stock side marker bulb. 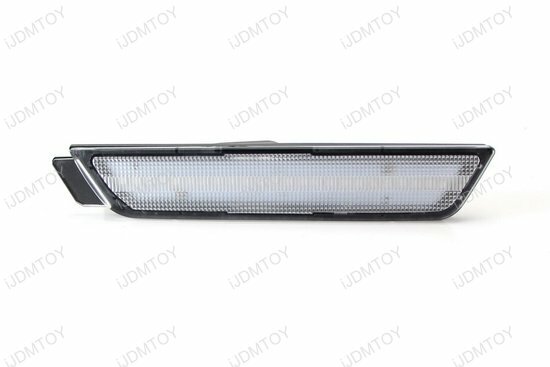 Whether you are installing the front end or back end LED side marker lights, be sure you take out the entire bulb socket assembly during the installation process to find the appropriate plug. 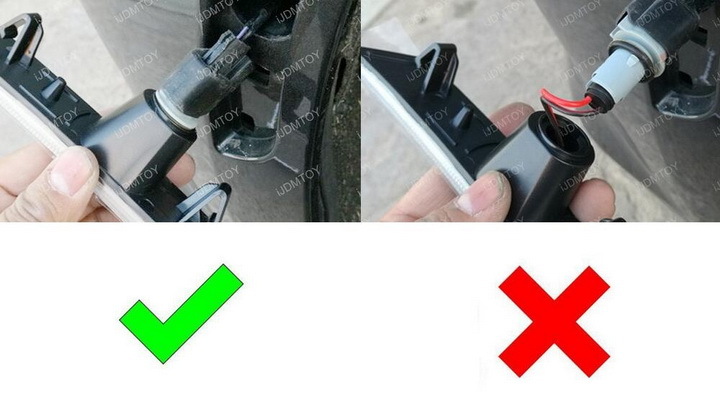 Step 1: Using a socket wrench, undo the screw indicated in the picture below. Step 2: Pull back the piece so you can gain access to the back side marker. 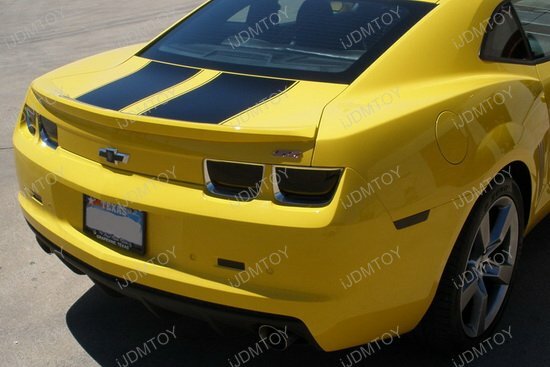 Read more on how to install the Chevy Camaro LED side marker lights for a detailed installation guide. 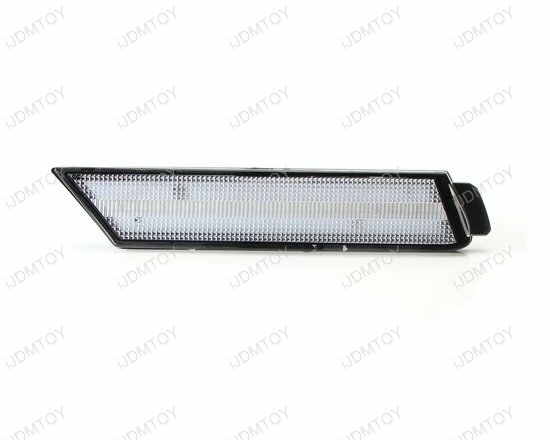 Q: How do I keep water from getting into my LED side marker lights? 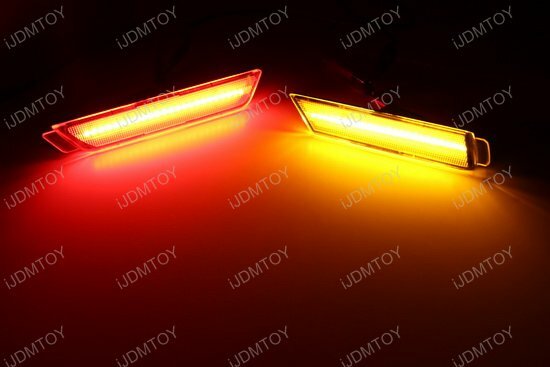 A: If your LED side marker lamps have an opening, twist lock the sockets into the side marker housings to seal off any moisture from getting in before clipping in your LED sidemarkers. 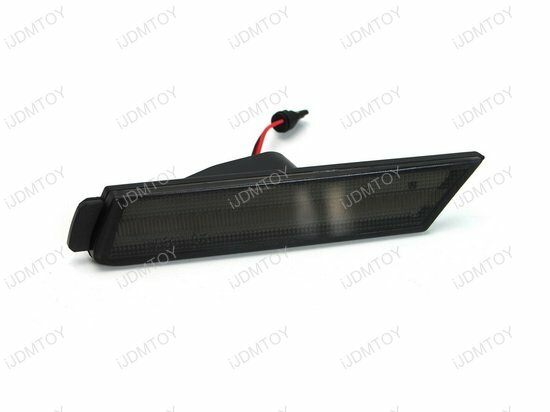 Q: How come my LED side marker light wire doesn't plug into the stock harness? 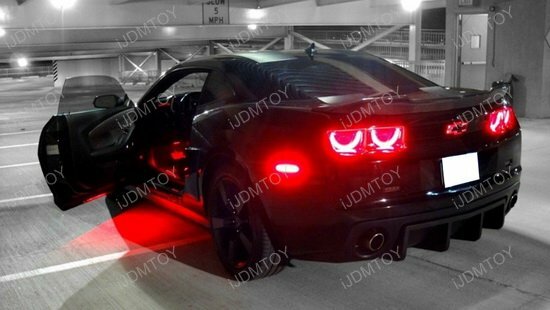 This page features a set (4 pcs) of front and rear side marker LED lamps (front: amber, rear: red) for the 2010-2015 Chevy Camaro. 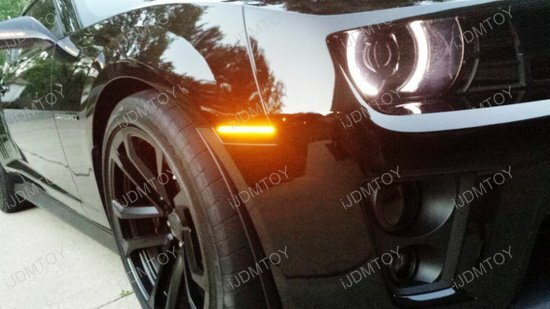 These LED side marker lamps are powered by 96-SMD LED lights for a nice bright glow that will definitely do your muscle car justice. 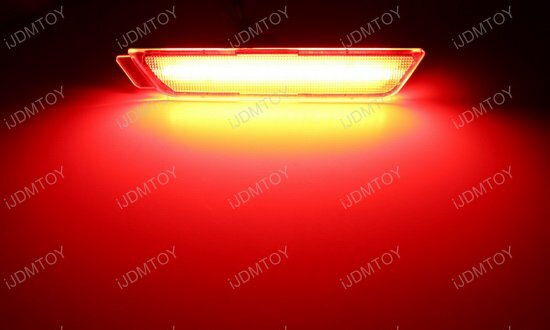 You won't have to worry about having inadequate lighting on your Camaro since these LED side marker lamps let all incoming cars know that you're heading their way. 5 of 5 Total Reviews: 4 Write a review. 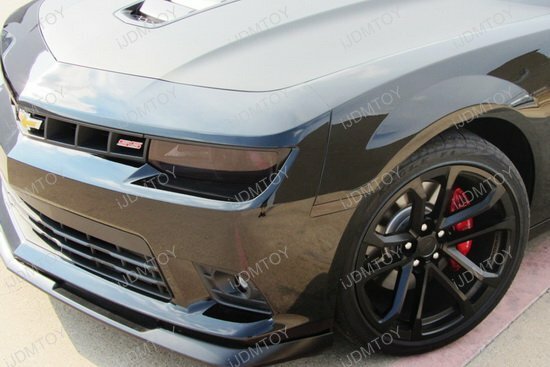 Ordered a set of LED front and rear side marker lamps for my 2014 Chevrolet Camaro SS with a little apprehension due to some of the previous reviews. Well, I was pleasantly surprised. These LED lights fit perfectly and look great! 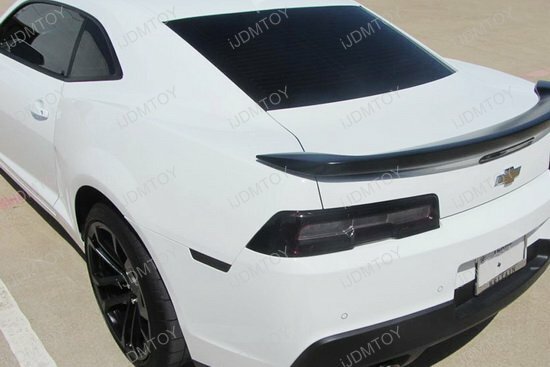 LED side marker looks great on the Camaro. I got them flush to the car by removing the little cylinder next to the clip.